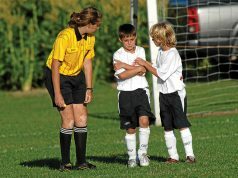 I teach entry-level classes and frequently get situations about how the referee messed up and the player got a card for doing nothing. Let’s analyze one question a father-son duo asked to show you how to evaluate a game or a tough decision. The player (the son, A9) said he was chasing a 50-50 ball. Goalkeeper B1 got the ball first and A9 bumped into B1. A9’s father, who seemed trustworthy, described it as not violent. 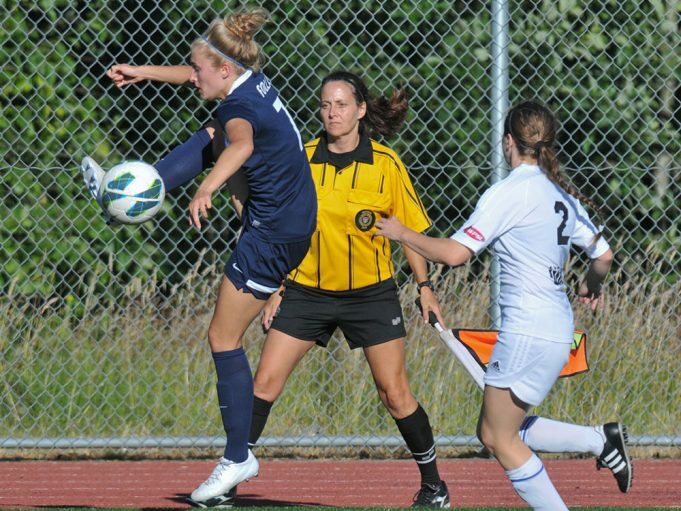 The referee called a foul and showed A9 a yellow card. That seemed interesting. I asked some questions. A9 seemed like one who liked to stir up things and had been doing some trash talking. The teams had a strong rivalry and past hard feelings. I don’t know if the referee knew about that or, more likely, got some bad vibes early in the match. Apparently the teams made no effort to hide the animosity.